Free Practice: In the first free practice it was Delétraz on P4 and Olsen on P9. 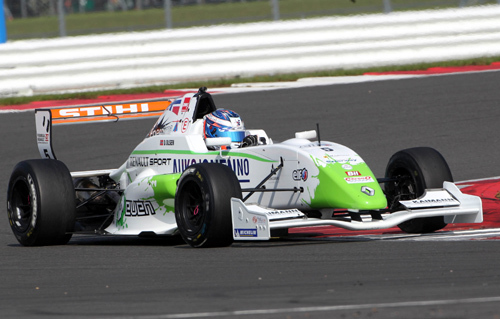 The second free practice saw Olsen on P4 and Delétraz on P7, so a good pace of the two Kaufmann Drivers. Qualifying: In the Qualfying which was split into two groups, Olsen qualified himeself on P2 and P3 in Group 1 and Delétraz on P4 and P3 in Group 2. Overall for the Grid Race 1: Olsen P3, Delétraz P8. Race 2: Olsen P5, Delétraz P6. 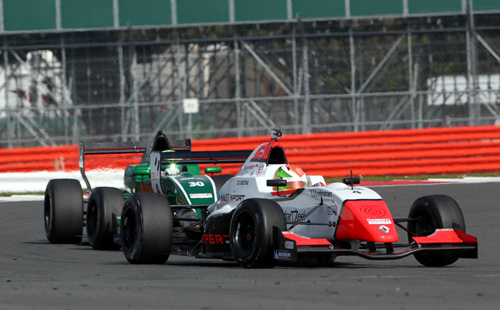 Race 1: Olsen was able to defend his position at the start. Delétraz was able to move up positions but then was crahsed out of the race at an early stage. Dennis Olsen drove a very clean race with good lap times and finally took his maiden podium finish in his young career with a nice P3. Race 2: In the second race Delétraz and Olsen drove a very good race. Overtaking each other several times, they had a tough race untill the end. Finally Olsen overtook Delétraz in the last lap. 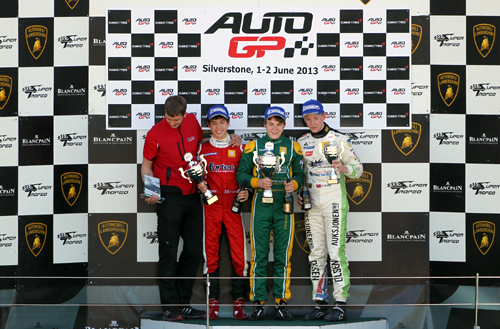 Both Kaufmann Drivers finished P4 - P5.